You want to change your payment method to debit? 2. 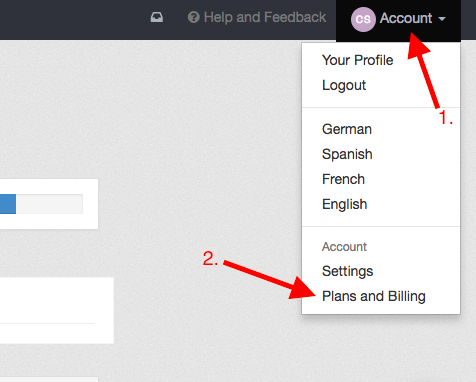 Click on "plans and billing"
3. Check your details and click on "continue"
In the next step a fee of 1,00€ will be charged to activate the debit payment, which we of course will return.